iPhone: You have countless options for to-do apps on iOS, but if you’re looking for something a little more colorful with a lot of options, Prio is worth a look. 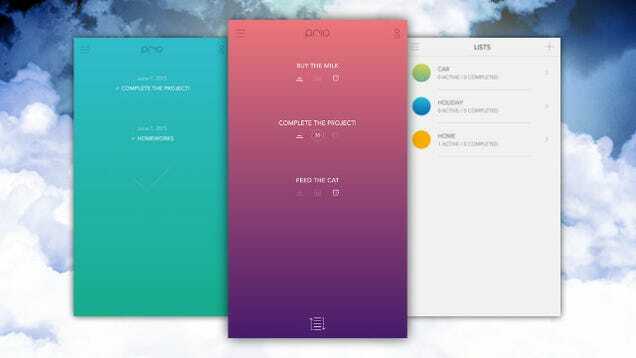 Prio does everything you need in a to-do app. You can set reminders, create multiple lists, and set priorities for each task. You can then organize and reorganize based on those parameters. Prio also keeps track of everything you’ve completed, so if you need a pat on the back at the end of an accomplished day, Prio can do that too. Beyond that, you can also set different colors for each list and choose from 20 different themes, which makes separating lists a little easier.